The Secret Cottage, as the name suggests, is tucked away in a secluded spot off Aldeburgh High Street. 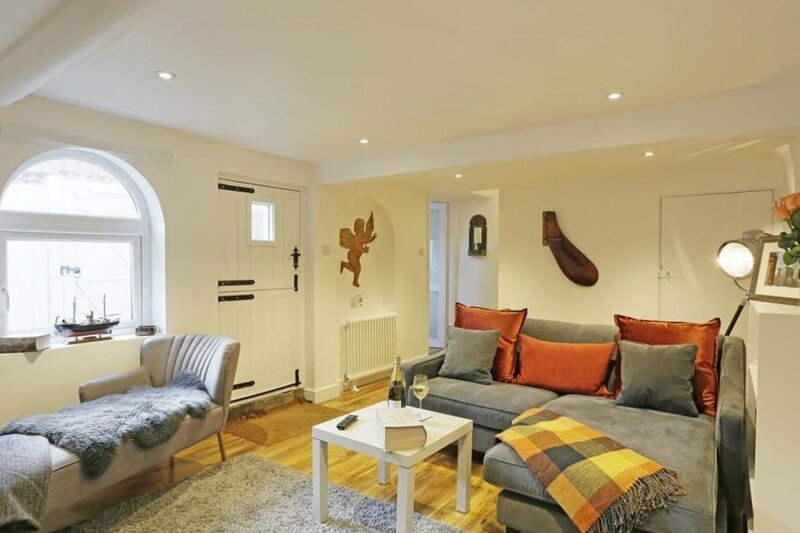 This tastefully furnished cottage is perfectly flexible for families, friends and couples. A short walk takes you to the many boutiques in Aldeburgh High Street and the beach is just moments away. Size: Sleeps 4, 2 bedrooms. Nearest Beach: Less than 0.5 miles. Rooms: 2 bedrooms, sitting room, kitchen/dining area, playroom, bathroom. Beds: 1 super king (which can be converted to twin beds), king size bed (which can also be converted to 2'6 twin beds), cabin-style bunk beds in play room. General: Gas heating. Travel cot and highchair available upon request. Utilities: Gas hob/electric oven, fridge freezer, dishwasher, washer dryer, Dolce Gusto coffee machine. Parking: Roadside nearby or permit available for Church car park (this will be issued when you collect the keys should you require it).